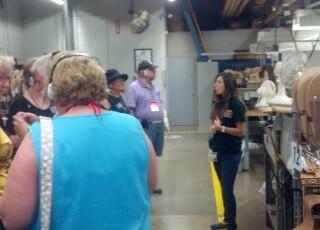 Touring Lehigh Valley at Martin Guitar, Crayola Experience, and more! Last week, Lehigh Valley hosted, among other things, the Pennsylvania Bus and Greater New Jersey Motorcoach Association’s annual meeting. This is a really fun bunch of group tour leaders and representatives from all over the east coast. When Marc Kaminetsky, our National Sales Manager who set this all up asked for help with the familiarization or “Fam-tours” I gladly volunteered! Monday afternoon I headed over to the Sands Hotel to meet my group. We loaded onto a gorgeous Trans-Bridge motorcoach and headed for Martin Guitar in Nazareth. I&apos;ve been on the tour several times over the years but never get tired of it. I especially enjoy showing it off to out of town guests and locals who have never been there before. The tour is free for individuals (slight charge for groups) and since it is a real factory tour, it is only open weekdays. This should definitely be on your bucket list! One of these days I will have enough time to really take in all the displays in their museum. 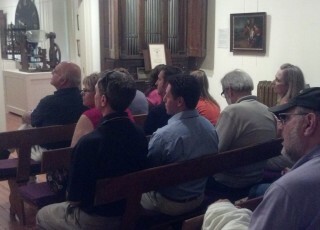 From there we headed down the street to the Moravian Historical Society for a quick 30 minute tour. Again, everyone should allow a lot more time to take in all the history and interesting artifacts. Tuesday afternoon I headed up a group going to “Explore Easton”. 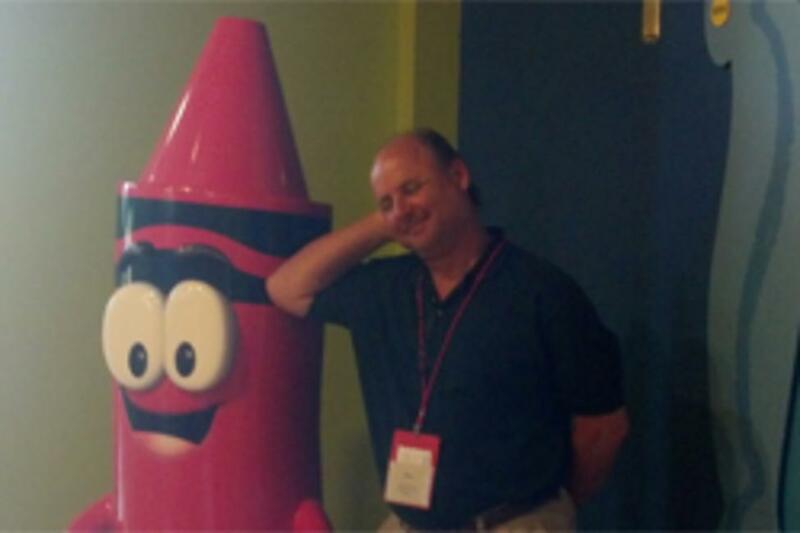 Our Easton Coach motorcoach’s first stop was Crayola Experience. We were greeted with bags including three coins to be spent in their fun build your own souvenir kiosks. I used mine to make custom crayon wrappers. I also brought home a tin of assorted markers I could pick myself in their gift shop. If this place doesn’t bring out the kid in you, no place will. We then walked over to the Sigal Museum, home of the Northampton County Historical Society. It was just after they closed to the public so we had the whole place to ourselves. Barbara Kowitz, the Executive Director and her staff could not have been more welcoming. They served cookies, ice cold punch and tea in their conference room, a refreshing treat on a really hot day. Actually, as Barbara told the group, they host a lot of private meetings, dinners and receptions in the museum. This was another place I had trouble rounding up the troops to head back after their tour. That night at a reception and dinner for our guests at ArtsQuest Center at SteelStacks I appreciated hearing how much everyone loved their Lehigh Valley tours. I’m sure they will all be back again soon. Should you want to bring a group or family reunion of your own, just call Marc. He’s a pro at setting up a customized itinerary for you!